Yesterday I read an interesting little book that I had been wanting to read for awhile. Some of you may remember a post the I wrote about Fun on the Farm. In the post was a picture of my dad and two of his siblings. My dad was holding a book and I decided that at some point I would need to find a copy of the book and read it. However, I knew that I would have to request it from another library as my local library system did not have a copy. It was not easy getting a copy of the book as very few libraries had a copy. From several libraries I would make a request and all of a sudden it would be put on the do not lend list. The copy that I finally tracked down does not look the same, but most likely it was rebound with a stronger binding by a library. 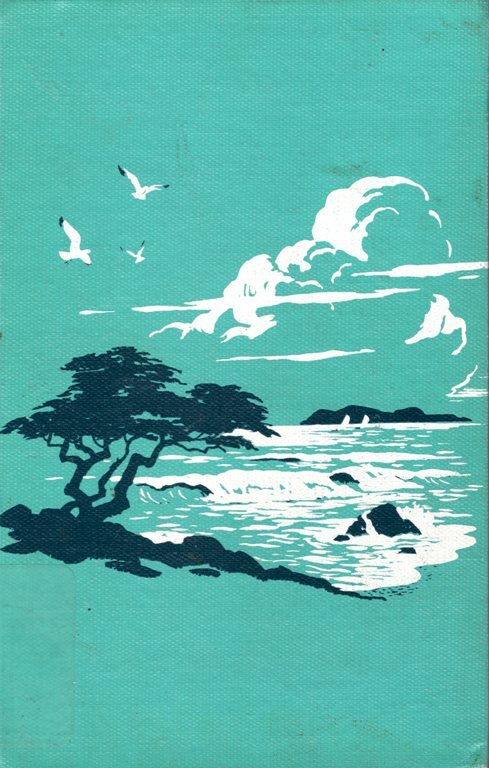 The cover looks like it may be a generic library binding image, and the title is stamped on the spine. 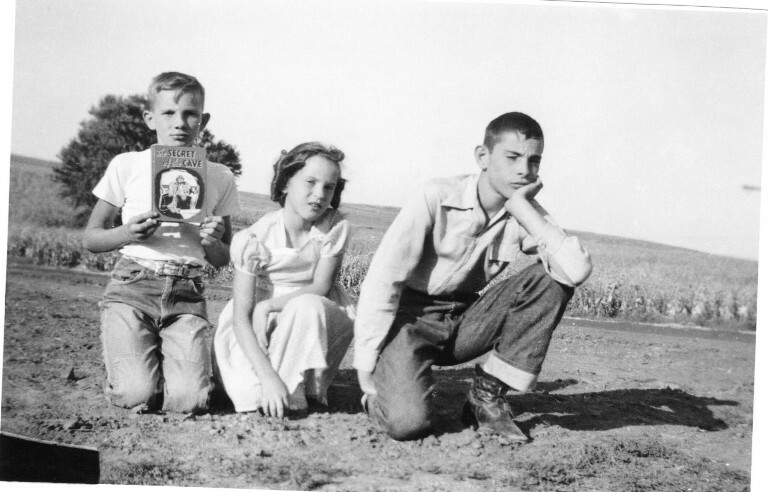 I did find a picture of the cover from the copy my Dad was holding. If I had been looking while it was for sale I could have had a copy for a few dollars. 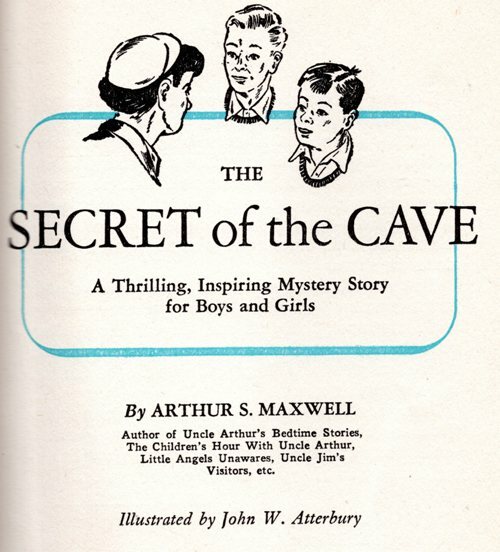 You can see that the book is The Secret of the Cave by Arthur S. Maxwell. You also see a list of some of the other books that were written by Maxwell. He was a Seventh Day Adventist and wrote 112 books. He was know as Uncle Arthur and many of his books were for children. The Secret of the Cave was originally published in 1921 by Pacific Press Publishing Association and was one of his first book. Both the copy I read and the one my Dad was holding are from 1951. 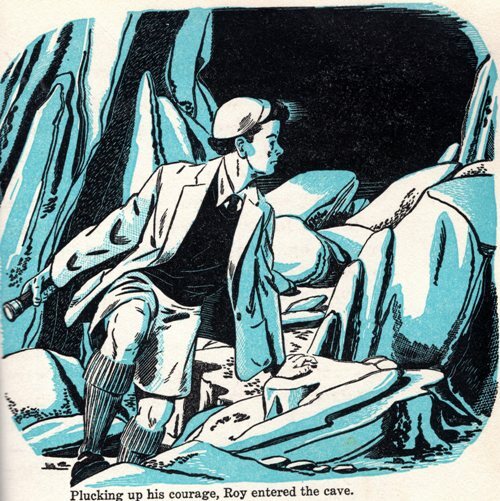 The black, white and blue illustrations by John W. Atterbury are really nice and help tell the story. The book is about a young boy who solves a mystery about good deeds that are being done with no logical explanation as to how they are accomplished. 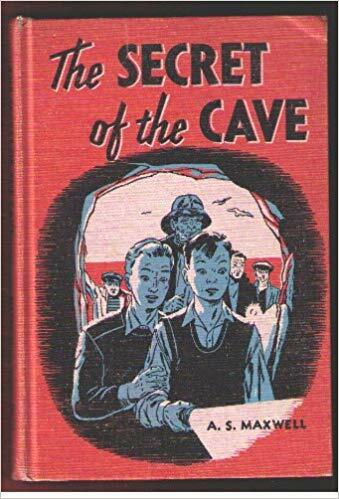 The book is set in Scotland and does involve a cave. However, I will not say anymore as I don’t want to give away the plot. It was really interesting to read a book that I know my Dad read when he was young. p.s. Go visit my post Fun on the Farm to see a picture of my Dad riding a cow. This entry was posted in Books, Culture, Memories and tagged Arthur Maxwell, Mysteries, Publishing, Seventh Day Adventist, The Secret of the Cave. Bookmark the permalink.